The John F. Kennedy International Airport, also known as the JFK, is situated in Queens, and is considered to be the most well-known airport for flying in and out of NYC. Just a short 15-mile drive from midtown Manhattan, the JFK can be reached in approximately an hour by road. If for whatever reason you decide to arrive by car and enjoy the convenience of driving back home in your own vehicle after you return from your business or leisure travel, there is a wide choice of airport parking options available within and off-site the JFK, to suit all budgets and requirements such as disabled access and so forth. This parking lot is located at the airport and currently not accepting reservations through our site. This parking lot is currently not accepting online bookings from our site. The JFK International Airport offers more than 17,000 car parking spaces, ranging from multi-level covered parking garages and surface parking spaces situated in the Central Terminal Area, to long-term parking site and valet parking. The capacity is increased by additional off-site car parking establishments offering cost-effective car parking options for secure car parking. Valet parking: Valet parking is a type of parking where the owner of the car hands over the keys and lets a representative (also known as a valet) to park their vehicle on their behalf. Valet airport parking can be covered and uncovered. Self-parking: As the name suggest, the customers find a parking space on their own, park their vehicle, and retain the keys for the duration of their trip. Shuttle buses: The airport parking sites that are further away from the JFK will provide shuttle services to take customers to the airport. Usually it is expected that the shuttle coaches will also pick you up from the terminal to take you to your parked vehicle. Availability: When booking your airport parking online pay attention if the car park is accessible 24 hours. Rates for disabled users: Disabled drivers might be able to get a different airport parking rate with some providers. Loyalty points: Some airport parking providers have loyalty programs set up to award their frequent customers. For example, it may be a points system where a frequent customer gets points every time they park, and can redeem the collected points to get complimentary / free parking for the future reservations. To get the best use of loyalty programs always ask your airport car parking provider if they run one. JFK airport parking deals: It’s always a good idea to shop around before booking your JFK airport parking. Search online for JFK parking vouchers, coupons, discounts, specials and other deals before committing. Always be aware that vouchers and deals might be of limited availability or there might be an expiration date until when you can redeem them. Other terms and conditions may include limitations of how many vouchers one purchaser can buy, the limited amount of vouchers to be used per trip and so on. Always read the small print. JFK airport parking and hotel packages: If you need the accommodation in and around the JFK airport you might be able to get a good hotel and car parking package. Usually these will be offered by leading hotel chains and will also include a complimentary shuttle to either the closest train station or the JFK airport (find out this before you book). JFK airport parking directions: Please note that you will need to know the full address of the airport parking provider that you book with when setting off, and not just the airport’s main address for your GPS. In some cases the GPS might not be sending you to the right location, so always read the car park’s own directions beforehand. Some airport parks are situated within the airport, and some are further away. Please take this into account when planning your time needed to get to the airport in order to check-in on time. Kiss ‘n’ fly: Aimed at those who don’t want to pay airport parking fees yet have to either drop off or pick up passengers. There is a free “Kiss ‘n’ fly” lot, situated at the Lefferts Boulevard exit off the Van Wyck Expressway (use these GPS coordinates N 40° 39.691′ W 073° 49.437′). The travelers can then take the free Airtrain service to access all JFK airport terminals. The kiss is optional. JFK airport parking – On-site: Offers a range of On-airport parking facilities such as short-term, long-term, restricted mobility, and reserved parking. E-ZPass Plus: Customers who opt to park their cars at one of the Port Authority’s airports (including JFK, Newark Liberty and LaGuardia) are welcome to use the E-ZPass tag as a means of payment. This automated parking system is called the E-ZPass Plus, and should you prefer to use other methods of payment for the on-airport parking at JFK, cash/credit cards will also be accepted. – If picking up a passenger who’s just landed please advise them to have a mobile phone handy. Have one yourself too! Plane delays and long queues at passport control can add to the stress if your passenger is nowhere to be seen. 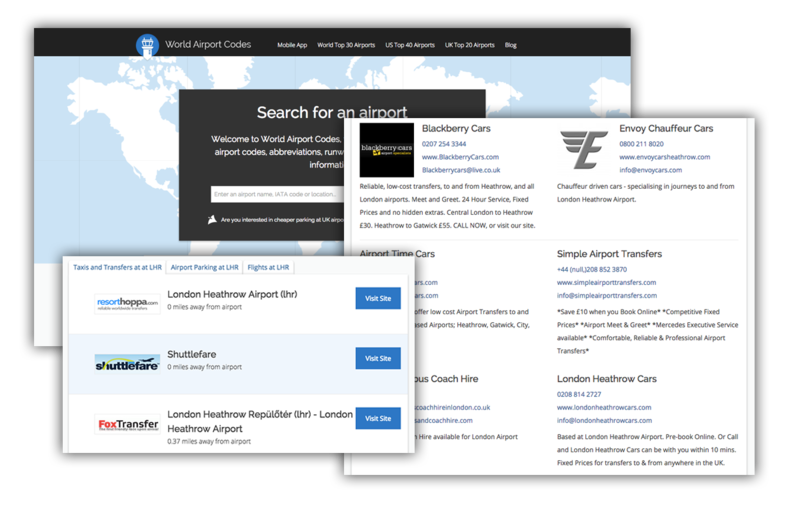 – Have a look at live flight arrival or departure boards online before you leave for the airport. This works both ways – if you are dropping off a passenger you might want to know if there are no road problems, and if you are picking one up – whether the plane is scheduled to land as expected. – Be prepared for a little bit of traffic jam, check if your car has plenty of gas. – If you are dropping off a road-savvy passenger ask them to co-pilot the car, help you read the road signs which are notoriously confusing around airports and generally give you some support. – Make sure you know which JFK terminal it is you have to get to. Have the correct address if using GPS. – Stick to the signage at the terminal and follow the instructions from airport staff. – Watch the time. If you are dropping a passenger off make sure you leave long in advance as some long-haul flights require the passengers to check-in more than 1 hour beforehand. A general rule of thumb for pick-ups is don’t rush it.